We frequently need volunteers to provide a loving, caring temporary foster home for dogs, puppies, cats and kittens. Foster homes are critical to provide for an animal’s need for additional socialization, time to recover from injury or surgery or simply due to overcrowding at Moore Humane Society as a result of a sudden influx of animals—often caused by a natural disaster or an animal abuse intervention. Providing a foster home is personally rewarding but it is also a responsibility. It requires a commitment of your time and may cause some inconvenience and changes in your usual life style. Adopting the animal in your foster care is possible; however, your completed Adoption Application must first be approved by Moore Humane Society. The following information is provided to help you decide if you would like to volunteer to foster one of our adorable animals. Our intent is to make sure prospective volunteers are fully aware of what’s involved—we assume you are already an animal lover or you wouldn’t be reading this page. Thank you for your love and your thoughtful consideration. What Will Moore Humane Society Provide? Foster commitments vary in length depending on the animal’s need for foster care, but usually last from 2 weeks to 2 months, rarely longer. Talk with a Moore Humane Society Manager if you anticipate a problem in meeting the expected commitment. Daily commitment of time will depend on the individual animal and situation. Many of the dogs at the shelter are “adolescents” between the age of 6 months and 2 years. Typically, they have a lot of energy and require vigorous daily exercise. They will require a 30‐45 minute brisk walk/run in the morning and again in the afternoon with plenty of play time in between. Older dogs may need only a morning and evening stroll. 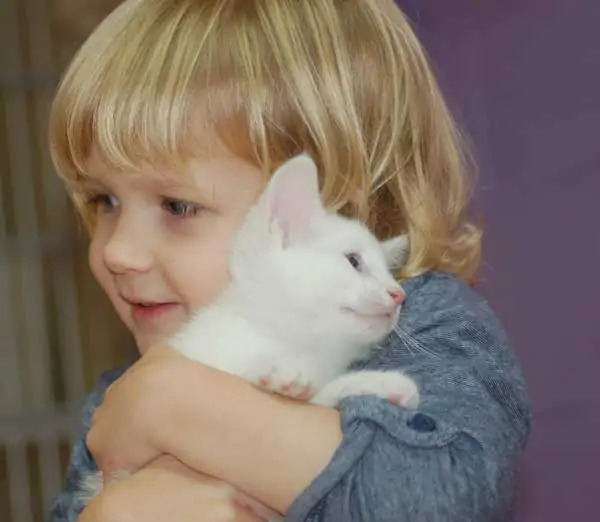 Cats and kittens may require only supervised indoor play/exercise and socialization. If you are attempting to housebreak a puppy, a trip outdoors after each meal and, if possible, a short trip outdoors at 2-3-hour intervals during the day is encouraged. An occasional trip to the vet or to Moore Humane Society may be required; usually these can be conveniently scheduled. Foster animals should be fed on a regular schedule as recommended by your Moore Humane Society Manager; most likely twice a day. Ensure that fresh water is available at all times unless directed otherwise by your Moore Humane Society contact. After-hours emergency approval may be obtained by calling the Executive Director (number provided at time of fostering). In summary, your job will be to nurture the animal in your care and provide for any special needs it may have. You’ll be provided more specific information and instructions at the time you receive your foster animal(s). Showing your love and affection is important; but remember, you are dealing with an animal, not a human–recognize and respect the differences. We’ll be happy to accept your completed application to join our foster care program. We will notify you of your eligibility as soon as possible after review and verification of the information you provide.